Writer/director Jordan Peele is about to unleash US, a terrifying new vision of the ways in which we can be our own worst enemies. In the March 22 release, Lupita Nyong’o and Winston Duke star as Adelaide and Gabe Wilson, whose beach vacation with their family is disturbed by a quartet of red-robed people who, somehow, look exactly like the Wilson family, only demented and dangerous. Jordan Peele has said “this is a very, very different movie” from his debut, GET OUT, and he isn’t kidding. As wild as his last movie was, it was also pretty straightforward. 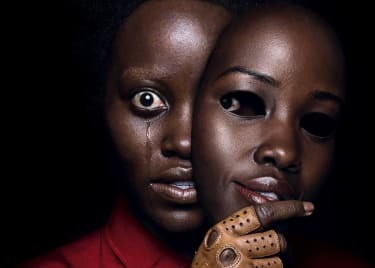 This new experience has all of the elements of horror we hope to see — and an amazing central performance from Lupita Nyong’o — but it remains mysterious in several ways, too. That said, you don’t need to know every detail of the doppelgängers haunting the Wilson family to understand why they’re scary. There are the robes, not to mention the gold scissors and twisted faces. Don’t worry — we’re not going to spoil exactly what’s up with those scissors, but trust us: You’ll never see that tool quite the same way again. 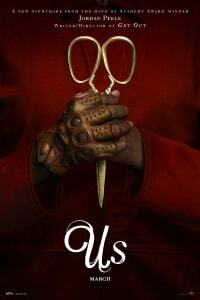 US stakes out new ground compared to Peele’s directorial debut. 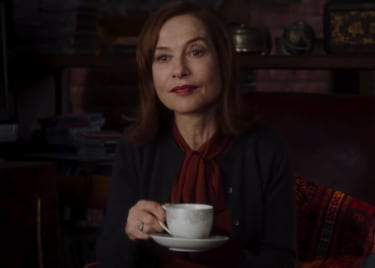 This movie is not about the racial conflict we saw in GET OUT. It’s much more personal and concerned with identity and duality. The story begins in 1986, with young Adelaide Wilson (first played by Madison Curry) wandering away from her family at a beach boardwalk and straight into a disturbing encounter in a hall of mirrors. Flash forward to the present, when the adult Adelaide (Nyong’o) and her family travel back to the same beach for vacation. She’s already uneasy about being there because she’s never really dealt with that encounter from her childhood. You’ve seen the trailer, and you know that this is where things get out of hand. The scariest thing about the doubles who show up in the driveway of the Wilson family’s vacation rental might not even be the way they’re dressed or their basic nature. It’s that they talk about “the Untethering,” which, combined with those gold scissors, is incredibly ominous. Jeremiah chapter 11 is all about the covenant between God and the people of Judah — the bond which said that God would bring the people out of Egypt and watch over them, so long as they were faithful and obedient to Him. Generations later, when God speaks to Jeremiah, they have fallen back into idolatry, and God is ready to unleash disaster as a punishment. Are the red-robed doubles, and their golden scissors, that disaster? Or are they an outgrowth of how the Wilsons — and by extension, everyone else — have failed in some way, and the reference to Jeremiah is just a pointer to suggest how bad things have become? There are no easy answers. “We can get crazy,” warns Winston Duke’s character, and Lupita Nyong’o certainly follows through. She gets to be both the hero and the monster, as she dives deep into the dual aspects of her two characters. And even when those giant gold scissors slash, there’s the fear that Adelaide Wilson’s good half can never be fully cut loose from her dark double. Maybe the same is true for all of us.